Two things happened last month just before I was getting ready to head to Tuscany for 3 months. 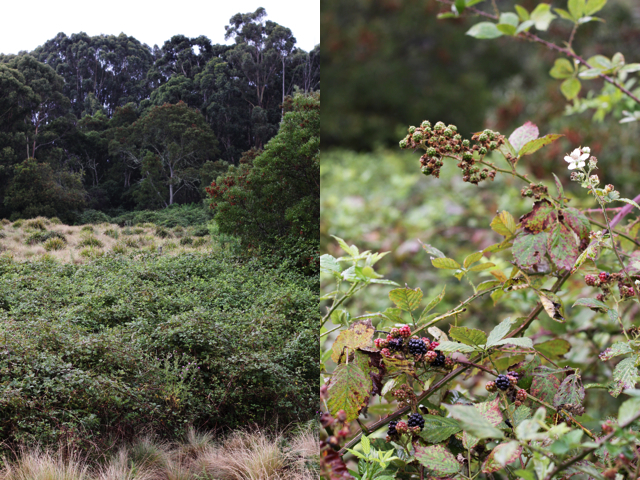 One was a visit to a wonderful farm where we picked fresh hazelnuts and wild blackberries. The other was that I made mascarpone at home for the first time. A lot of it. What to do with a fridge full of freshly made mascarpone after recipe testing a few times? Well, it certainly can’t go to waste. And there are only so many tiramisu one can eat (really). 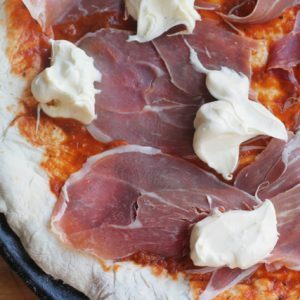 So I made Elizabeth David’s tagliatelle with mascarpone and walnuts (a winner, also because it can be whipped up in a pinch) and also threw mascarpone on this pizza with speck. But I couldn’t help going back to dessert, especially since I had a fresh haul of blackberries that don’t like waiting around to be used. The farm visit was meant for hazelnut picking — and there’s plenty more on that to come later — but we couldn’t help ourselves after arriving at the farm and being greeted with a bowl of fresh blackberries and a wonderful frangipane tart dotted with them, we decided to gather some more. They go beautifully with the bittersweet cocoa of the crust and the sweet creaminess of homemade mascarpone in this simple tart. Good quality mascarpone is hard to come by outside of Italy. 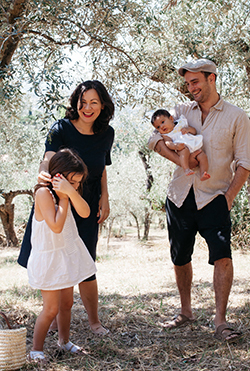 When you’ve tasted freshly made mascarpone, it’ll be hard to go back to anything you can find in the supermarket. This is so unbelievably simple, you’ll ask yourself why you never tried this before. It goes without saying that the better quality cream you use, the better quality mascarpone you will have. If you want to be precise, a candy thermometer and some muslin or cheesecloth is all you need, but don’t let that put you off trying this; some good timing, careful watching and a clean tea towel will also do the trick – the rest is easy. Using the bain marie (double broiler) method means that you won’t be in danger of boiling or burning the cream. The bottom saucepan should hold a few centimetres of barely simmering water, a heatproof bowl set sturdily over the top should not touch the water. Place the cream in the bowl and gently heat until it reaches 90ºC (this will take about 15 minutes). Take off the heat and stir through the lemon juice with a wooden spoon. You’ll notice the cream begins to get slightly thicker, coating the back of the spoon, but other than that you won’t see much else happen. Don’t be disheartened, the magic happens overnight. Pour the cream into a sieve lined with several layers of damp cheesecloth or muslin (or a tea towel, folded in half) over a bowl and chill, as is but covered (resist squeezing it in the cloth or touching it). Leave in the fridge overnight or for at least 8 hours before using. Despite the two-part recipe, this is really the simplest of preparations. The crust recipe is my go-to Artusi recipe for sweet pastry (the one I use for crostata) with some bittersweet cocoa added to it. You can blind bake the tart ahead of time and fill it just before serving. If chilled, this tart is best when taken out of the fridge about 30 minutes before serving. 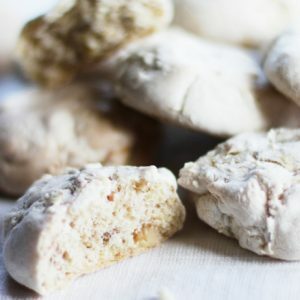 Rub the butter into the flour until the mixture resembles breadcrumbs. Add the sugar, cocoa powder and egg and combine until the mixture forms a dough. If it’s a little dry, add some cold water, a tablespoon at a time until it comes together. If it’s a little wet, add some flour, a tablespoon at a time until it comes together. Let the dough rest in the fridge at least 30 minutes before using. Roll the dough out on a dry surface dusted with cocoa powder, then place in a pie tin. Chill in the fridge before blind baking at 180ºC for about 15-20 minutes or until the surface is dry to the touch. Let cool completely before using. My recipe for this tart was also published in The Canberra Times. I love the combination of blackberries and chocolate and with homemade mascarpone thrown into the mix? Absolute bliss. Love the sound of that pizza too. Oh such a good combo – blackberries and chocolate. Am plotting other ways to use them though now that the season has passed (too quickly!) I’ll have to wait a while. This looks so gorgeous Emiko! I love picking blackberries. I made mascarpone years ago but haven’t tried since – soon, perhaps. I’d think it’s just your thing Emma, I can just imagine your wonderful photos of the step by step process! 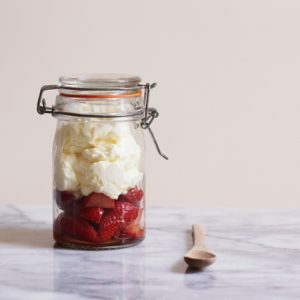 Homemade mascarpone sounds heavenly! I had always assumed it would be really tricky to make, but this might just inspire me to give it a go. So much more simple than you can imagine! Such a fleeting season, I wish I had made more things with fresh blackberries when we had them! Such a decadent and beautiful tart. I’ve recently started making my own mascarpone too. What a wonderful way to use it up. The thing to do when you have it so extremely fresh! We have in our plans to make some mascarpone with some good English cream. We just need a good weekend to do so! 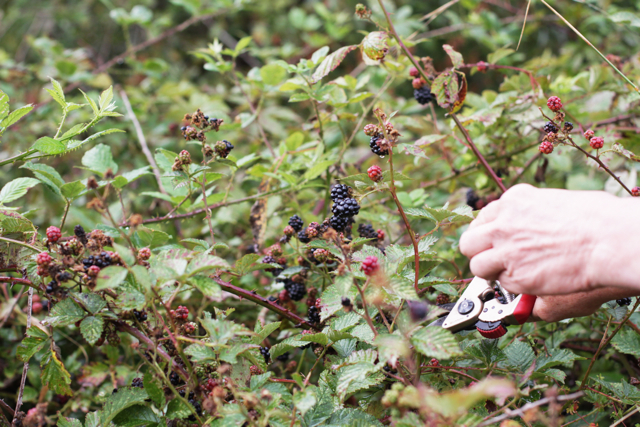 And be sure, when the blackberries start poking out here, we’ll be foraging for tons of them, and we’ll have to try this! Oh you should definitely give it a go, you guys would love it, I’m sure! And it’s even better when you have some wonderful cream, of course. Beautiful combination: blackberries, chocolate and mascarpone. And I’m very intrigued by the homemade mascarpone. Must try to make it soon! 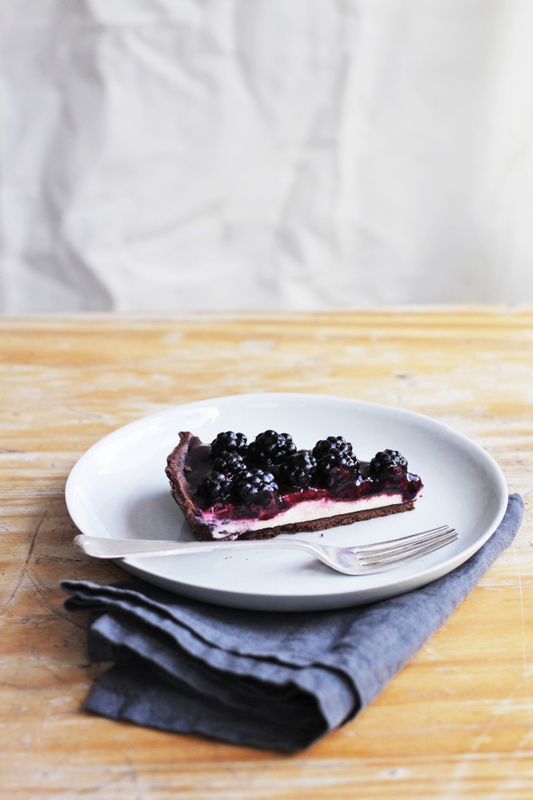 Blackberries are my favorite fruit and this tart looks spectacular! 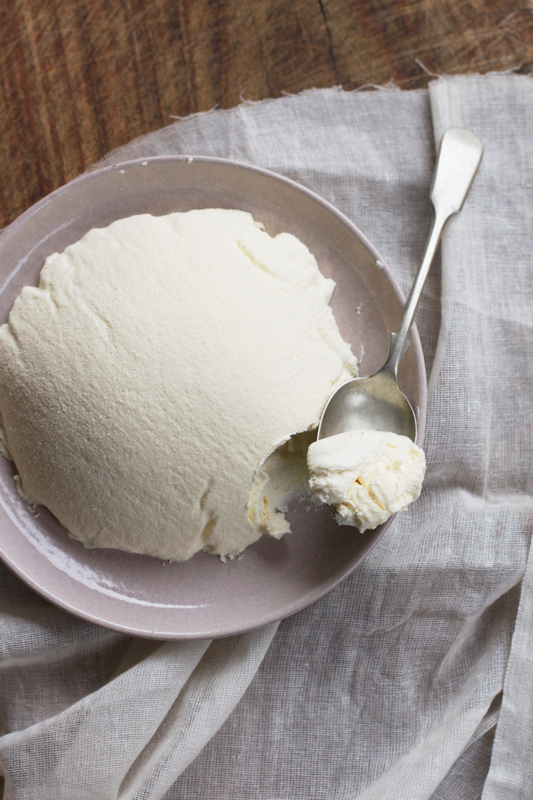 I’ve never thought to make mascarpone at home, but now I must give it a try. It’s amazingly simple, so much easier than even it sounds! My mouth is watering and I can’t wait to make mascarpone. Thank you so much! Beautiful pictures… I remember picking a blackberry as a little toddler and getting one of the spiky things of the berry stuck in my troat! This tart is no doubt just amazing, especially because of the home made mascarpone… oh my. Oh dear! That’s a bit of a hazard. Well actually, when we were picking these I was wearing sandals, which isn’t really the best attire for tackling a wild blackberry bush but aside from the thorns, a leech found its way to my ankle! 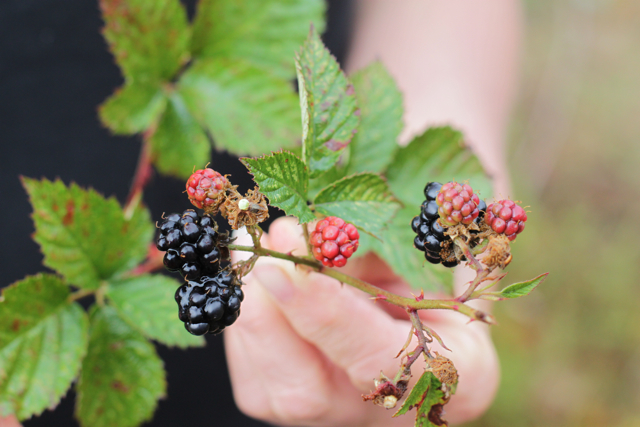 What a bite – luckily it was little and I just picked it off, but needless to say, that ended our blackberry foraging for the day! Emiko! I’m so interested to see this recipe. Years ago at Pasquini Bakery in Denver (now closed), I had a blackberry tart that was so good it made my head spin. Of course the blackberries were musty-dusty delirium, as they should be, but something was different about this tart. Both the crust and the filling were much lighter than an ordinary fruit tart and something about the sweetness was different – the filling wasn’t sweet. Instead the sweetness came from the crust. I examined the pastry cases and did research. Is a mascarpone filling traditional for Italian fruit tarts? I haven’t come across this again, nor has anyone who’s eaten mine found it familiar. When the crust is cooked, I throw a handful of bittersweet chocolate onto it and leave it in the oven for another 30 seconds to melt the chocolate which I spread thinly across the crust. This insulates the crust from the wetness of the cheese and fruit. It’s still best very fresh when the crust is crispy (but cooled before filling). Rather than trying to slice it, I usually just hand out forks and ask everyone to lean across the table and eat from one plate…. I’ve noticed that if I allow the crust to take on the first tinge of brown all the way across, not just on the edges, the sugar crystallizes and it’s extra delicious. Your cocoa crust is very pretty! Just wandering about the size of pie-tin, and how many servings this recipe yields. About a 10 inch pie tin – it easily serves 8 people. Enjoy! Hi! Yes, you can use cooked or fresh blackberries for this, just be careful about not adding too much liquid to the tart, I’d make sure the “juice” of the cooked blackberries is reduced a bit so that it blobs rather than runs. A 1 hour assemble would be fine, even a few hours ahead would be ok. 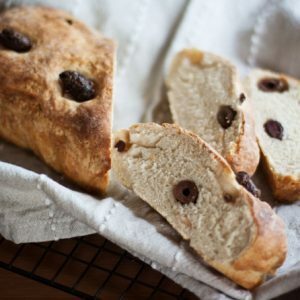 The best thing about this recipe for me is that all the elements can be prepared ahead of time and it can just be put together right before you need you need it when it will still look super fresh! Good luck! Super thanks Emiko. I will have to reduce the juice a bit then, for the rest i get. Tomorrow is the day, i know it will be a great dessert. 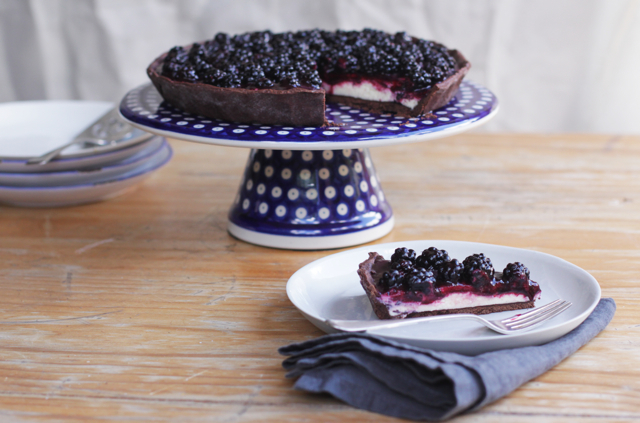 Love your recipe for blackberry and mascarpone tart. 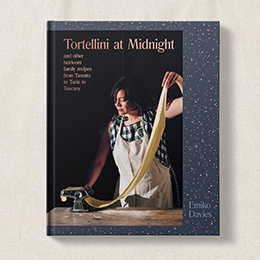 Am excited to try making my own mascarpone too. I had an amazing fig tart at Cipriani’s in Torcello, Italy many years ago that seemed so simple and was delicious. Begged to get the recipe, but no such luck. Do you have a special recipe for a fig tart with fresh figs? With summer weather upon us in NYC I am hoping to find some fresh figs available soon and would love to hear back from you. Thanks. Hi Emiko, I just found your site today (searching Tomato Jams) and have spent an entire Sunday morning marking recipes I’m going to make. Blackberries are just at the end of season here, and I can’t wait to make this! I am in the U.S. and am not familiar with “pouring cream.” Could you tell me the butterfat content so I can make the mascarpone? Thanks so much!